MOUNTCASTLE, CLARA H., also known as Caris Sima, painter, teacher, and author; b. 26 Nov. 1837 in the Huron Tract, near the site of Clinton, Upper Canada, daughter of Sidney Harman Mountcastle and Frances Laura Meikle; d. unmarried 24 May 1908 in Clinton. The third surviving daughter of 12 children, Clara H. Mountcastle (her full name remains unknown) was born into an artistic family that had left London, England, in 1832 to better its fortunes in Upper Canada. 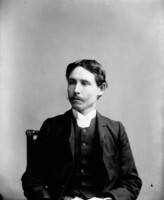 Like other well-born immigrants the Mountcastles struggled to make a living in the bush, with Sidney either farming or engaged in a variety of commercial ventures. The family’s occupational and financial instability was matched by physical precariousness: only five children survived to adulthood. Despite the difficulty of her early years Clara eulogized the log house where she was born in her poem “A picture of the past”; “My Eden, my childhood’s abode. / The low spreading homestead, with roses o’ergrown.” The darker side of bush life is presented in “Lost!” which, with only slightly changed names, relates an autobiographical tale of children lost in the backwoods while bringing in the cows. Educated first at home by her mother, an amateur painter, Clara developed her artistic talent with lessons from her uncle John George Howard*, an architect in whose Toronto house she resided from 1855 to 1857. While there, she attended a private girls’ school for a term and took instruction from an English artist, one Chatterton, in working from nature. 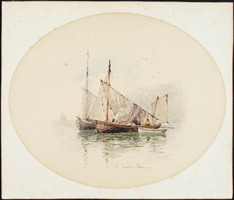 At an unknown date she taught English at a girls’ school in St Catharines, and in June 1868 she rejoined Howard’s household and took further sketching and colouring lessons. By 1881 she had returned to Clinton. With richness of our scenery. And vast tumultuous inland seas. When her bid to join that organization was blocked by “the men who said me nay; / The rulers of the O.S.A.,” she joined the Women’s Art Association of Canada. 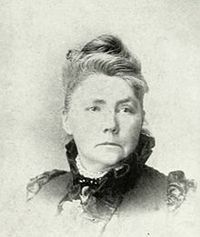 Although Clara painted and exhibited for many years she earned her contemporary reputation as a writer, a career late in starting because of what she described as a “prolonged illness.” Rose published her first two books, The mission of love (1882), a collection of poems, and A mystery (1886), a novel, both written under the pseudonym Caris Sima (from carissima, Italian for “most beloved,” a term conferred upon her in childhood by a family friend). Her third book, Is marriage a failure? (1899), appeared under her own name. In addition, some dozen of her poems were published in Edmund Ernest Sheppard*’s Saturday Night (Toronto) from 1889 to 1898. While poverty runs neck and neck. Upon the corn we sorest feel. In this depiction of the trials of ageing she reaffirms her commitment to poetry that is “strong, simple and touching.” Clara Mountcastle shared with such contemporaries as Archibald Lampman*, William Bliss Carman*, Charles George Douglas Roberts*, and Duncan Campbell Scott* a belief in the “civilizing” role of literature and its importance in nation building. Her work is a feminine footnote in that turn-of-the-century effort to develop a national literature. Clara H. Mountcastle’s publications include The mission of love; Lost; and other poems, with songs and valentines (Toronto, 1882), A mystery (Toronto, 1886), and Is marriage a failure? Lost! and many gems of verse (Toronto, 1899). The account of her life in American women . . . , ed. F. E. Willard and M. A. [Rice] Livermore (rev. ed., 2v., New York, 1897; repr. Detroit, 1973) is accompanied by a photograph; the obituary of Ellen Mountcastle in the Clinton News-Record (Clinton, Ont. ), 23 Feb. 1922, includes a photograph of the three sisters in old age. A photograph of the sisters also appears in the Toronto Daily Star’s Star Weekly magazine for 25 Feb. 1922. AO, F 1401; RG 22, ser.298, no.5623. MTRL, J. G. Howard papers. NA, RG 31, C1, 1881, Clinton. Clinton New Era, 25 Jan. 1877, 16 Oct. 1891, 28 May 1908. Clinton News-Record, 16, 25 Feb. 1922. Globe, 7 Oct. 1870. Canadian men and women of the time (Morgan; 1898). Colborne Lodge, High Park, Toronto; first occupied December 23, 1837, comp. F. C. Parker ([Toronto, 1949]). J. E. Collins, Life and times of the Right Honourable Sir John A. Macdonald . 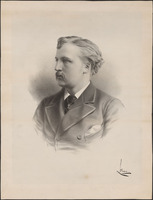 . . premier of the Dominion of Canada (Toronto, 1883), 492–94. Cyclopædia of Canadian biog. (Rose and Charlesworth), vols.1–2. 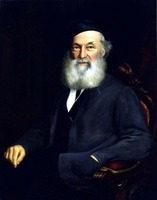 Harper, Early painters and engravers. History of Clinton and surrounding community, 1950 (Clinton, 1950). An index to “Saturday Night”; the first fifty years, 1887–1937, ed. G. F. Heggie and G. R. Adshead (Toronto, 1987). Kathleen Lockhart, “The Mountcastle family,” History of Clinton, 1875–1975 ([Clinton, 1975]), 70–71. RCAA exhibitions (McMann). Barbara Godard, “MOUNTCASTLE, CLARA H,” in Dictionary of Canadian Biography, vol. 13, University of Toronto/Université Laval, 2003–, accessed April 18, 2019, http://www.biographi.ca/en/bio/mountcastle_clara_h_13E.html.